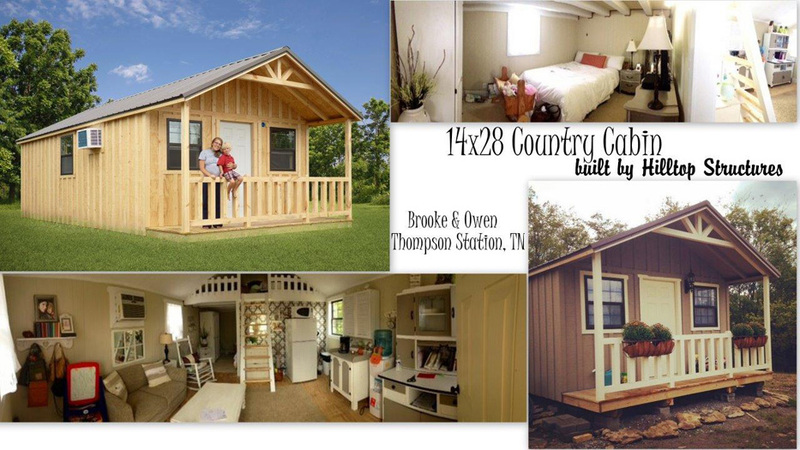 Our Country Cabin features a porch on the gable end, which allows you to enter in the porch at the end of the cabin. 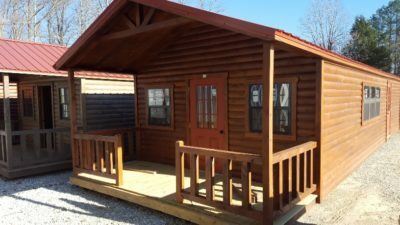 This layout allows for a larger kitchen/living area because this cabin has only one bedroom and one bath, but there is room for a hide a bed or futon in the living room. 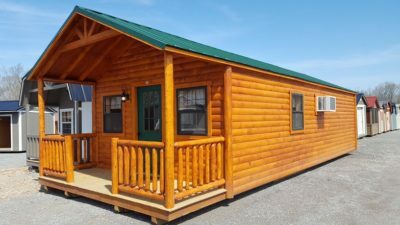 These cabins are great for weekend getaways, hunting camps, workshops, studios or small offices, lake houses and more. 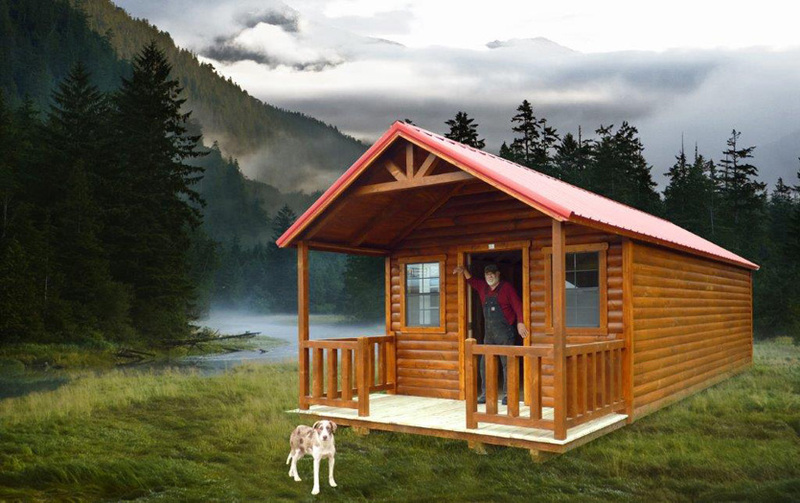 With our all new program you can now get a complete brand-new turnkey option in a modular cabin. 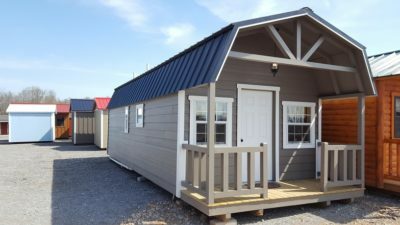 With this option, the Country Cabin comes complete with electrical, plumbing, cabinets, floor coverings and is move in ready. 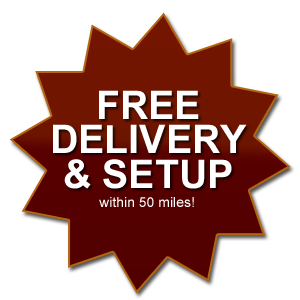 (hook ups and HVAC are normally not included) Speak to one of our office staff and they will help you design the interior that is right for you. 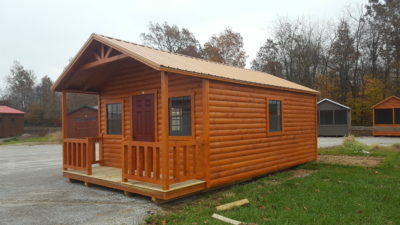 These modular cabins are approved and will meet all Tennessee State codes. 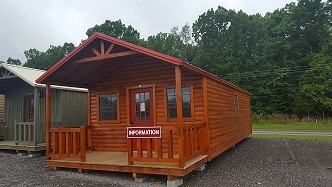 We currently are not offering modular cabins in any other state. 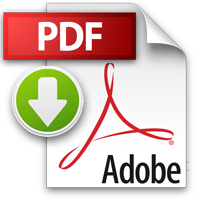 For the DIY customer, this package will come as an exterior shell package that our team will install on your prepared foundation or footers. 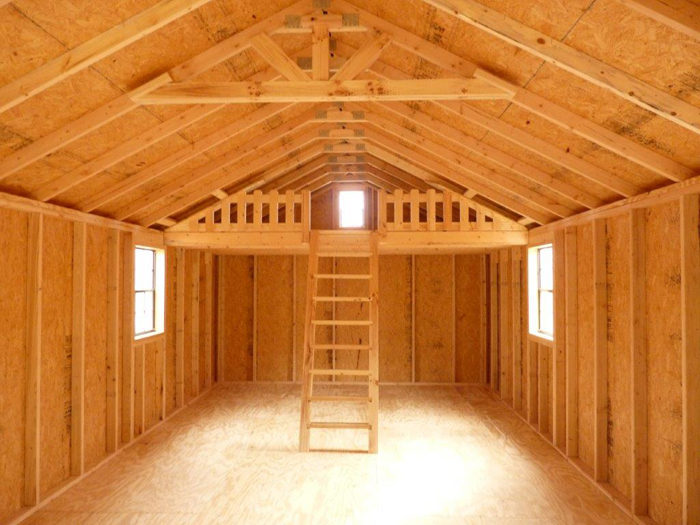 You are responsible for the installation of the electrical, plumbing, insulation & HVAC. 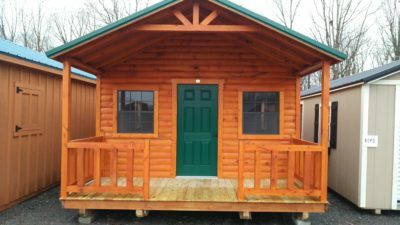 Once all have been completed and your cabin has passed all inspections (if applicable), our finish team will come back and install the interior wood paneling, all interior doors and trim, spray the interior with a clear sealer and install cabinets and laminate flooring. 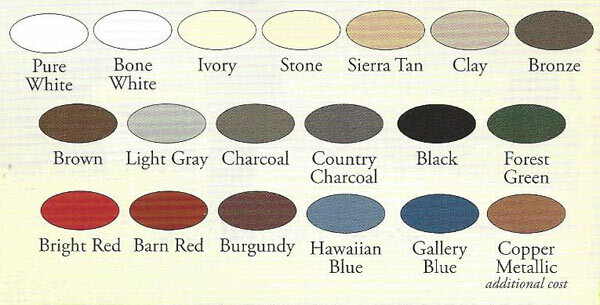 With this option you can do as much or as little of the interior as you like. 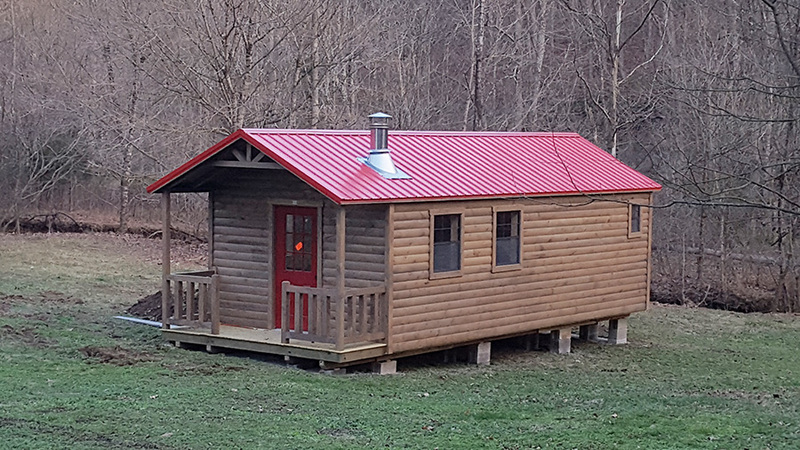 We have several different packages depending on how much you want Hilltop Structures to install for you. 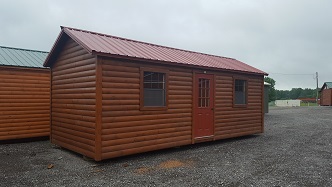 Ask for the Country Cabin quick quote to see which option is best for you. 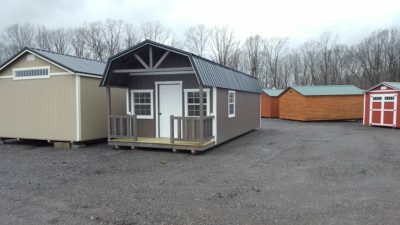 These cabins are available for out of state deliveries, please check your local codes to see if any restrictions apply. 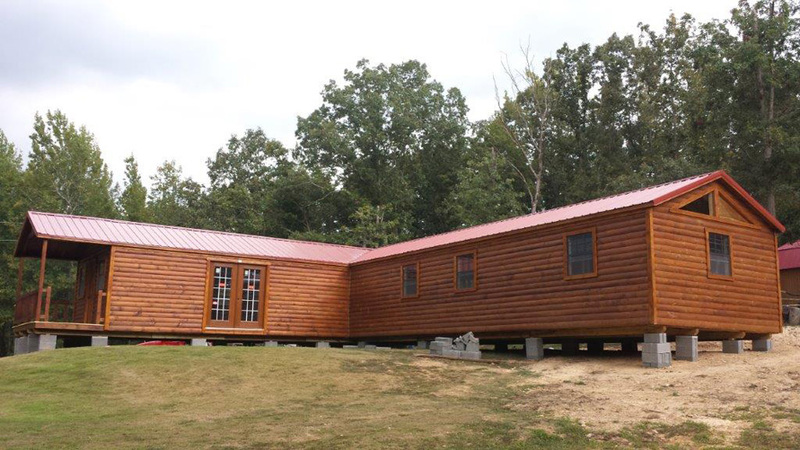 Sealed with Perma Chink Ultra 7, stained with a clear coat sealer sprayed on to protect your interior walls.